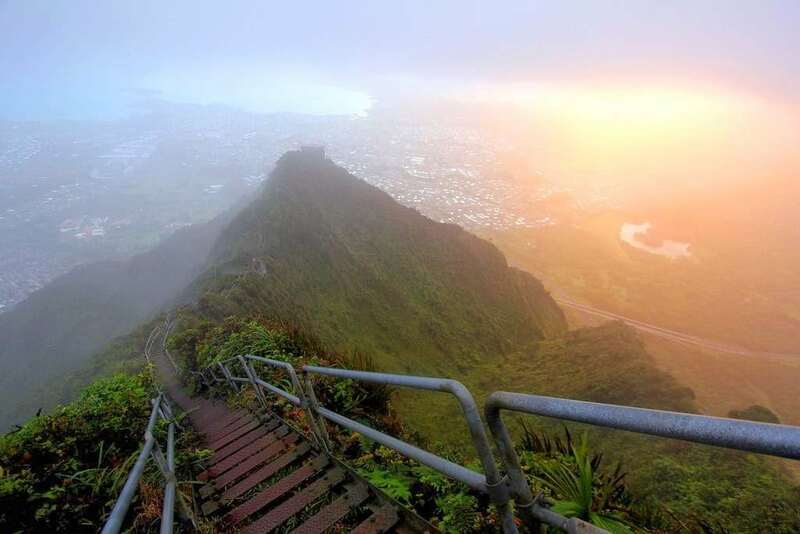 It’s called the Haiku Stairs, also known as the Stairway to Heaven Hawaii, and it has one of the most breathtaking views on the entire planet. However, that view comes with a price because it’s actually illegal to climb. 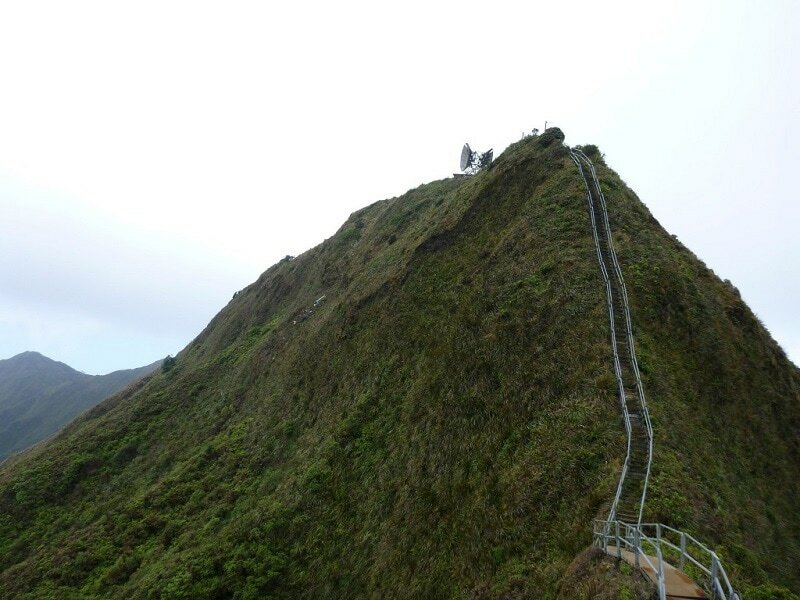 The stairs were originally installed during World War II so military could access a radio station antennae that sat roughly 2,000 feet up in the mountains. 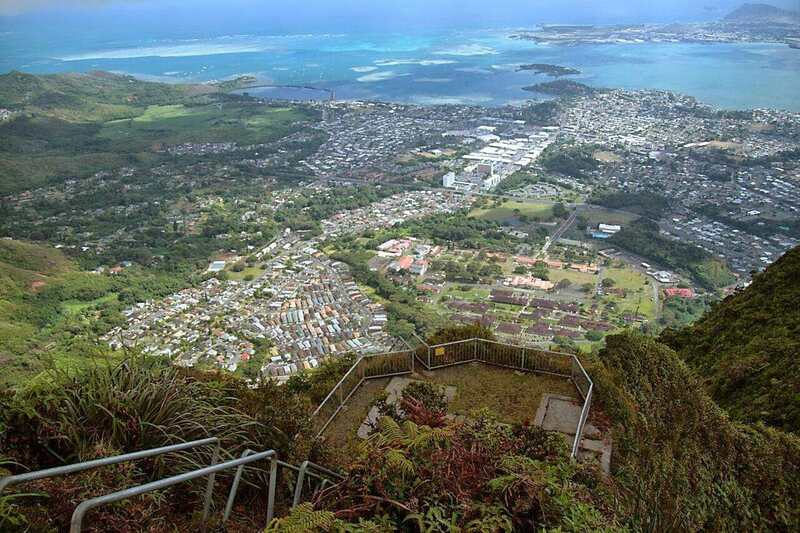 Located on the Hawaiian Island of Oahu, which reaches a peak of nearly 3,000 feet, is forbidden by the Hawaiian government due to liability issues and land access problems. A guard was even present during the day (though many people now say the guard is gone). Now the sad part…. Just recently a powerful storm damaged most of the stairs making it now almost completely inaccessible in some spots. The entire fate of the stairs is now up in the air unless community organizations come together to fix it—> *Update on this below. The steps up the steep mountain actually use to be all made of wood, if you can believe it. However, in the mid 1950’s those wooden steps were replaced with sections of metal steps and ramps totaling approximately 3,922. Just imagine walking around on wooden steps, that would be even more terrifying. If you liked the Haiku Stairs, check out the Hamilton Pool Preserve: A secret paradise located in Texas!